St. Kitts and Nevis, also known in the country’s constitution as Saint Christopher and Nevis, has been independent since 1983 and forms part of the group of islands known as the Lesser Antilles located some 2,000 km to the southeast of Miami. 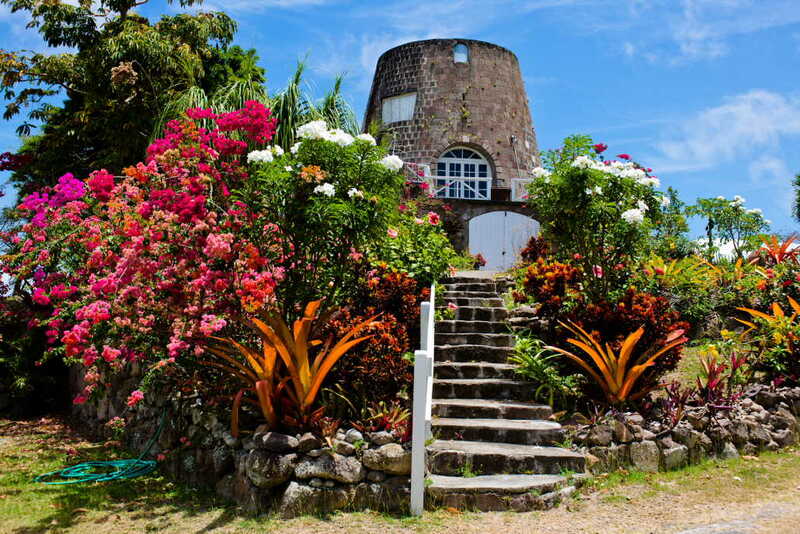 The Federation comprises two islands: Nevis with an area of some 93.2 km2 and St. Kitts with 168.4 km2. St. Kitts is 23 miles long and 5 miles across at its widest, encompassing an area of 69 square miles. Nevis, the smaller island, lies to the south and is approximately 7 miles in diameter, covering a total of 36 square miles. The two islands support a population of about 46,000, of whom about 35,000 live on the island of St. Kitts and 11,000 live on the island of Nevis. Both islands are volcanic in origin, with central mountain ranges that dominate the landscape and radiate downward to the coasts. Most flat or moderately sloped land occurs near the coast, and as a result, most urban and agricultural developments and settlements are established in that geographic area. The official and business language is English. The Federation is a member of the United Nations (UN), of the Organisation of American States (OAS), the British Commonwealth, CARICOM and many other international organisations. The Eastern Caribbean Central Bank has its headquarters on St. Kitts. It maintains the stability of the Eastern Caribbean Dollar (EC$), the national currency of most Eastern Caribbean countries. St. Kitts and Nevis is a well-functioning democracy based on the British parliamentary system. 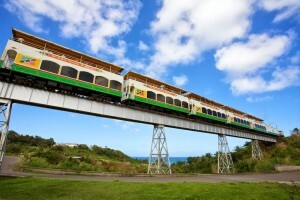 Learn more about St. Kitts and Nevis by visiting: www.stkittstourism.kn and www.nevisisland.com.